Gov. Rick Snyder has apologized for the inexcusable failures of leadership that led to the current situation in Flint, where tens of thousands of individuals, including children, have been poisoned, dismissed, neglected, and lied to. What’s clear at this stage is that great harm has been done to both people and the city’s infrastructure. Now that state and local government have acknowledged the truth, they will have to do something about it. Any good nerd knows that “I’m sorry” doesn’t de-corrode miles of water piping or detoxify children – we need money to pay for that. But how will we find it? Here are some policy suggestions that could help ameliorate the water crisis in Flint and buttress the rest of our state’s deteriorating infrastructure. In the midst of ongoing financial and social instability in many of Michigan’s cities, the price of oil happens to be at a 10-year low. The current approach to this happy circumstance seems to be to just enjoy the break at the pump, but we are missing a real opportunity. The fact is that Michigan is facing grotesque infrastructure disinvestment, with aging roads and water infrastructure that our governments have proven to be either unwilling or incapable of addressing. We need to take collective action to take advantage of the opportunity that low oil rates present. What Michigan needs is a “Top Off” law that would set a price floor on gas prices. Under this law, any time market rates of gas fall below $2.00/gallon, the gas station would become a savings account for state and local infrastructure fund. The differential between market rates and that indexed value (which could grow gradually over time) would provide funding for projects from road repairs to water pipeline modernization. If market rates exceed $2.00/gal, then we pay nothing. If prices stay above that index, well, we’re no worse off than we are now. The law would create a fund to address infrastructure issues that aren’t getting paid for now, and certainly won’t be when gas rates hike back up again. This would be more legislatively viable than a typical flat tax or millage because it would only apply in instances of extremely low gas prices and would not add undue burden when gas prices are already high. Even our state legislature might find such a funding source relatively easy to swallow since it is a sales tax (and therefore more “fair” than wealth-based taxes) that would not apply when prices are high or even in the normal range. A price floor is a unique funding opportunity that can immediately address the urgent financial needs facing Michigan infrastructure. We can’t change the lack of foresight that led to the problems we currently face, but we can take responsibility for them now. Michigan is one of a few proud states that has a returnable system for certain aluminum, glass, and plastic products – specifically those that contain carbonated beverages. The 10-cent returnable generates a modest but powerful incentive to recycle. It is also a money generator for the state­ when bottles aren’t returned. Other states, from New York to California to Hawaii, do Michigan one better and actually offer a returnable for water bottles (Granted, their deposits are only 5 cents). This is extremely valuable as use of bottled water becomes more and more prevalent. Water bottles that are returned won’t contribute to the water fund, but they will be recycled, which is more than can be said for the current situation. 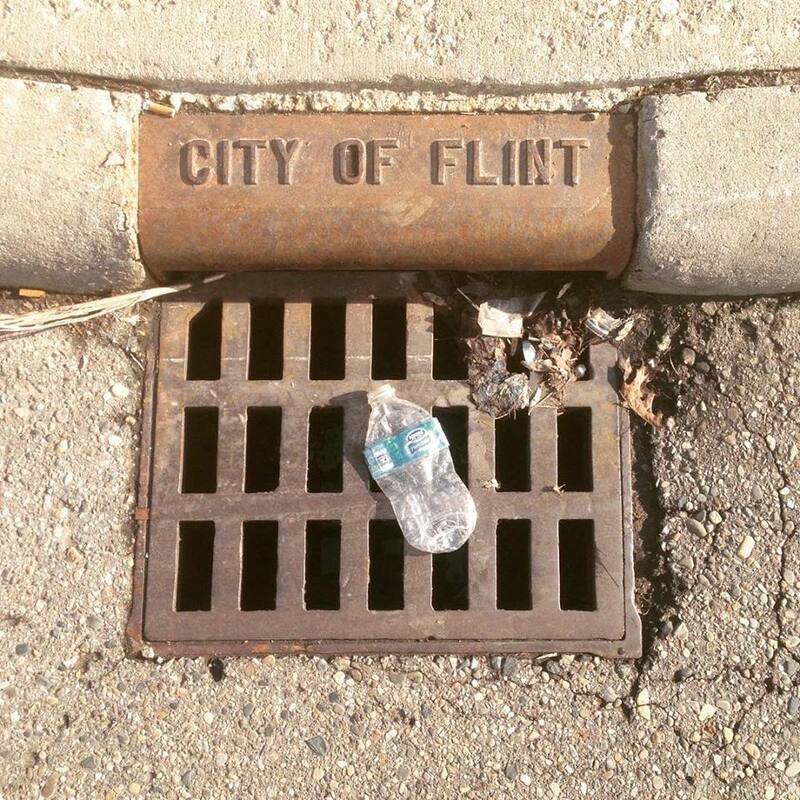 Millions of water bottles have been donated to the Flint community, but the recycling network there is woefully unprepared to meet the need. One look at the thousands of cases of bottled water makes clear the fact that one environmental disaster can beget another. The refuse generated from these endless plastic Band-Aids will fill our landfills with wasted opportunity. One way to improve leadership is to make sure that the people who hold office are the ones that the populace actually voted for. Strategic district mapping through the practice of gerrymandering effectively places a “fudge factor” between a cast vote and a counted vote that would make even Mackinac proud. Gerrymandering in Michigan has become so egregious that, according to my calculations, in the case of the State Senate election of 2015, one Democratic vote was actually only worth 42 percent of a real vote. Stated another way, a Democratic vote in Michigan can be worth as little as about two-fifths of a vote. The premise behind Public Act 436, the state’s “emergency manager” law, is essentially that it breaks down a local government’s red tape by enabling an appointee of the governor to enact sweeping changes. This is useful in actual emergencies, such as the ones now facing both Flint and Detroit in their water crises, but it is far from an ideal form of governance. Sadly, emergency management becomes a self-fulfilling prophesy, as some of the cuts to the democratic process turn out to have been load-bearing structures. Often, the damage caused by such systematic breakdown can be permanent – even deadly. None of this works if the money generated is not being spent in competent, constructive ways. We need real accountability for how money is spent as much as we need the money itself. The crises surrounding emergency management across the state of Michigan all point to the insidious pattern of privatization and capitalization of government services. Many believe that Flint was transitioned from Detroit water supply to the Flint River in order to justify lucrative contracts for contractors who would build the new supply. When money runs our government, we can’t waste it fast enough. Given its strained economy, Michigan voters seem to be drawn to politicians from the private sector – those who “know how to run a company.” However, the measure of success for a business is its revenue stream, and when that bottom line becomes the priority of the government, a politician can be considered successful regardless of the welfare of the people. Reframing political priorities from short-term financial interests to long-term human needs will avoid situations where the good of the populace can be compromised on the premise of savings a few bucks. This entry was posted in Detroit, Non-Fiction, Place, Politics/Social Concerns, Published and tagged Detroit, flint, flintwatercrisis, infrastructure, michigan. Bookmark the permalink.